home → news → World Cup 2014 → World Cup qualifiers. Key CONCACAF Fixtures: USA vs Costa Rica etc. World Cup qualifiers. Key CONCACAF Fixtures: USA vs Costa Rica etc. United States host Costa Rica in what has been labeled as “must-win” game by USMNT manager Jurgen Klinsmann, as the national team has lost 2-1 at the hands of Honduras in their opening game of the World Cup qualification final round. Four days later USA will visit favourites Mexico in another crucial match. There have been the concerns about the dressing room atmosphere ahead of the game with Costa Rica, as Sporting News have published an article citing many of the national team’s players, who are openly questioning some of Klinsmann’s decisions. 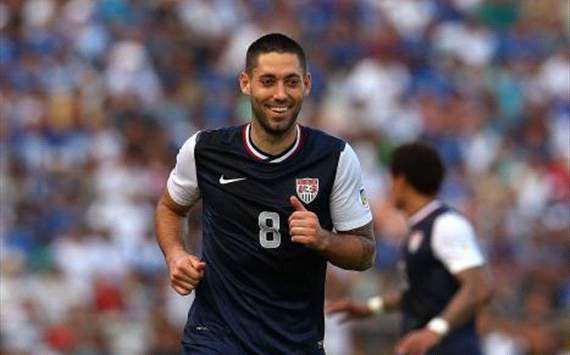 For example the players have been dissatisfied with the dropping influential Carlos Bocanegra out of the staring XI for the game against Honduras. Others had concerns about Klinsmann’s lack of tactical knowledge and man-management skills. Such a situation will undoubtedly have a negative impact on overall team’s performance, should the German fail to deal with the outburst. Klinsmann has called up the defenders with the lack of international experience, which was one of the points of criticism articulated by the national team’s players. Four of US first-team defenders have a combined seven of international caps, which could prove insufficient to keep at bay such talented Costa Rica attackers as Fulham’s Bryan Ruiz or Real Betis’ Joel Campbell. Tim Howard has been ruled out of the game due to back injury, while Steve Cerundolo is also set to miss the game with a knee problem. Landon Donovan has taken a break from international football and is not expected to feature in the nearest upcoming clashes. Costa Rica’s suffered a huge blow to their hopes of edging USA with the news their skipper Alvaro Saborio could be missing from the game due to damaged knee.